As well as introducing a red iPhone 7 and 7 Plus, Apple has today quietly refreshed its iPad line-up, replacing the aging 9.7-inch iPad Air 2 with a new, more powerful version called simply iPad. While this isn’t exactly a revolutionary new product -- the lack of an Apple event to announce it is the big giveaway here -- it is newsworthy for the price alone. 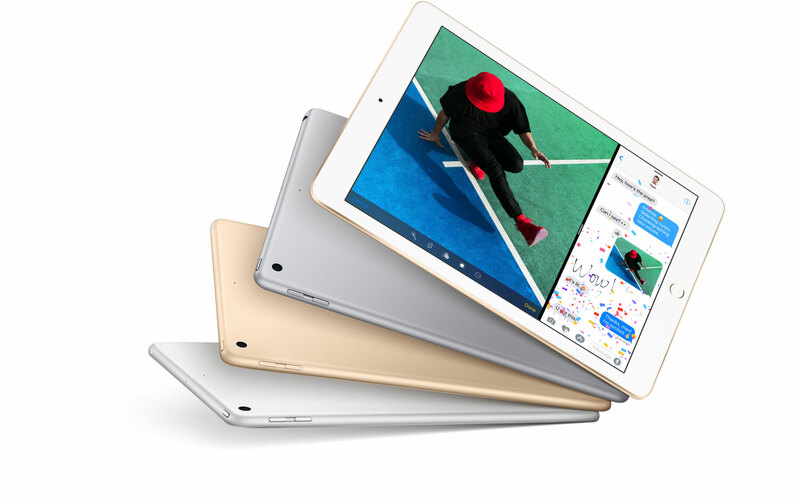 The new iPad is available in 32GB and 128GB storage sizes, and priced from $329 and $429 respectively. The Wi-Fi + Cellular model is priced from $459. In addition to the lower cost, the iPad sees a spec update, with the old A8X chip getting replaced with the 64-bit A9 processor. Philip Schiller, Apple’s senior vice president of Worldwide Marketing, announced the new product, saying "iPad is the world’s most popular tablet. Customers love the large, 9.7-inch display for everything from watching TV and movies, to surfing the web, making FaceTime calls, and enjoying photos, and now it is even more affordable. New customers and anyone looking to upgrade will love this new iPad for use at home, in school, and for work, with its gorgeous Retina display, our powerful A9 chip, and access to the more than 1.3 million apps designed specifically for it." If you’re interested in buying the new iPad you’ve got a very short wait -- orders start at 8:01am PDT on March 24. You can find out more from Apple here.